Motorola today announced a new tablet device named as Xoom. Last year we have a seen a boom of tablets; Apple iPad, Blackberry PlayBook and Samsung Galaxy tablet were the notable entrants in the market. Motorola Xoom is a tablet designed to work with Google’s Android OS. Many mobile phone manufacturers already have Android tablets, but most of them are based on Android OS 2.2 and 2.3 that are not tablet friendly. The Motorola Xoom will be shipped with Android OS 3.0 HoneyComb, which is exclusively designed to work with tablet devices. Motorola Xoom has a dual core processor and 10.2 inch capacitive touch screen that supports 1080p HD videos. The above photo shows a glimpse at the upcoming Android interface for tablets. The browser, gallery, Gmail application and all in this programmed in a way that is more useful for a tablet user. 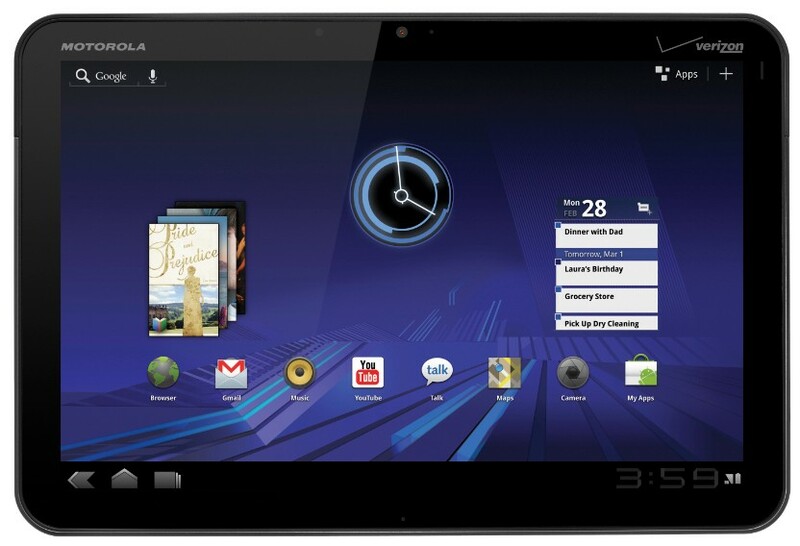 Motorola Xoom is internally powered by the latest NVIDIA Tegra 2: 1GHz dual-core processor. Therefore, watching HD videos, playing games and browsing through complex web pages would be a great experience in its 10.1 inch 1280×800 pixels touch screen. This processor supports 1080p HD playback and has inbuilt NVIDIA GeForce graphics. Motorola XOOM comes with a 5MP rear camera with 720p HD video recording capability and 2MP front camera for making video calls. Xoom will have 32GB of on-board memory, external SD card support and 1GB DDR2 RAM. Motorola Xoom has the support for 4G/LTE network. The device will be upgraded to 4G/LTE from Q2 of 2011 onwards. Other important specifications of Motorola Xoom includes, a battery with up-to 10 hour video playback, 3.5mm, micro USB 2.0 HS, Corporate Sync, Wi-Fi 2.4GHz & 5GHz 802.11b/g/n, Bluetooth 2.1 + EDR + HID, Flash playback, inbuilt Google applications, etc. Motorola and Verizon Wireless will launch XOOM Android tablet in the first half of 2011 for their customers in USA. The price of Motorola XOOM is not yet announced. But it would cost around $650-850 without a contract.We will let you know the official price and data plan as soon as the details are made available. xoom sounds like an ideal tablet. hope it has a standard usb port for flash drives. I am in the market to purchase a tablet within 60-90 days. Main concern here is the attachment to Verizon. I DO NOT NEED CELL PHONE SERVICE on my tablet! Hope Motorola has the foresight to have a wifi only model. If so, I’ll buy it. If not, I’ll have to buy something else, like Adam or iPad. B/G/N wireless, USB 2.0, BT 2.1, etc. As far as cell service goes, it’s for 3G/4G data really. But, if you don’t want it don’t get it. You can buy it without a contract.